Jacob Dlamani, author of Native Nostalgia , reflects on the "joys of peregrination" in Johannesburg. In 2008, inspired by Ivan Vladislavic’s Portrait with Keys , Dlamani began exploring Joburgh on foot. Vladislavic didn't shy from the omnipresent risk of wandering in this dangerous city: "It is also a melancholic take on what it means to live in anxious times and to walk through a city filled with nervous energy." 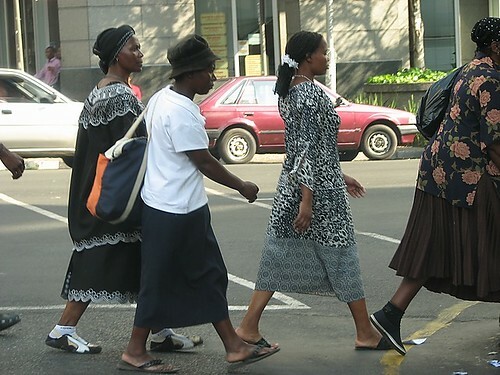 Dlamani also acknowledges the risk, recently having shifted from perambulations to vehicular meanders.